2018 – This event will take place on Saturday 15th September, so if you find yourself on the island, look out for it! The Fiesta Nuestra Señora de los Volcanes or the romería Virgen de los Dolores is the biggest traditional fiesta on the island of Lanzarote. Residents make the romería (pilgrimage) from all over the island on foot, dressed in traditional clothing to the tiny village of Mancha Blanca in the municipality of Tinajo. There’s something really moving about seeing thousands of people, brightly dressed, all heading in the same direction – some of them are alone, others are in groups, with donkeys and camels pulling carts or pushing shopping trolleys laden with food and drink for the journey and weekend of festivities. If you’re a visitor to the island but would like to experience los Dolores, you can buy the traditional clothing locally, its in a lot of shop windows in Arrecife in the weeks leading up to the event, its really worth making the effort to be involved as you will be welcomed by the locals to join in the singing, dancing and festivities. A popular route to walk is to start from the Monumento de Campesino at San Bartolomé, they welcome the islands pilgrims and offer free food and drink before you head off again on the final 9km leg of the journey to the Ermita de Nuestra Señora de los Dolores, the church in the centre of Mancha Blanca. The romería is normally held on the Saturday closest to the 15th Of September. Mancha Blanca also holds a Lanzarote Crafts Fair from the Thursday to Monday over the romería weekend. This is a great opportunity, not only to see Lanzarote crafts but also traditions and culture from the other Canary Islands, there are over one hundred craftsmen and women at the event with lots of artisan products. 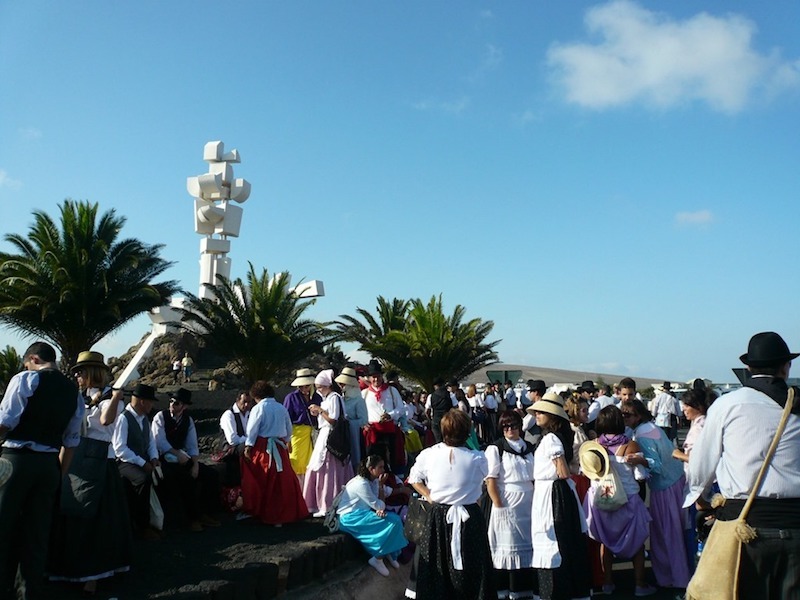 The history of the event relates back to the volcanic eruptions in 1736, the residents of Mancha Blanca went with a priest carrying the Nuestra Señora de los Dolores to meet the lava flow that was heading in the direction of the village. When they reached the mountain of Guiguán they promised to build a church in honour of the virgin if she stopped the lava flow from covering the village, a cross was knocked into the ground in front of the hot lava and the residents prayed. Miraculously when the lava flow reached the cross it stopped and diverted away from the precious fertile fields and over the path of a previous eruption. The six years of eruptions finished in April 1736 and once the islanders began to settle down and feel safe again they forgot their promise made to the virgin. Some years later, in 1774 Juana Rafaela Acosta was a 9 year old shepherdess, one day whilst she was watching the goats a woman in mourning clothes told her that she must go and tell her family and neighbours that they had to keep their promise to build the church, or the eruptions would start again. Juana was not believed and was told off for making up such lies, so when she saw the woman some days later who repeated the same message she refused to tell anyone, the woman put her hand on the girls shoulder and said if you go and tell them now, you will be believed. This time when Juana told her parents and they saw the mark of the Holy Virgen, a purple shadow of a hand on the girls shoulder they took her to the local church. Juana was shown different images of the virgin and the Nuestra Señora de los Dolores was the woman in mourning that she had seen. All the villagers worked for ten years to build the promised church, the miracle was spread around Lanzarote and the islanders helped the cause with donations. In 1824, there was a new eruption from the corona Capellanía del Clérigo Duarte situated between Tao and Tiagua, the villagers organised a procession from Guiguán to La Vegueta and once again they knelt and prayed to their Virgen that the lava flow wouldn’t destroy their land. A short time later the lava flow stopped and only smoke poured from the volcano. It was after this eruption that the Virgen de los Dolores was proclaimed to be Señora de los Volcanes – Lady of the volcanoes. 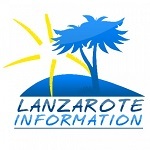 Find out about trips you can do on the island here: Lanzarote Excursions.